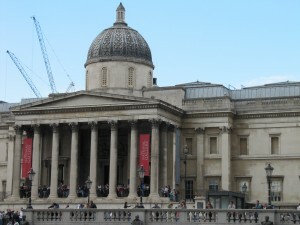 A short guide to the National Gallery, for those who don’t have much time. 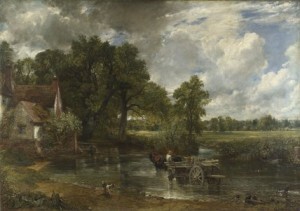 The National Gallery has one of the most important collections of painting of the whole world, and if you are in London it should be in your list of places to visit. I don’t like to spend too much time in galleries and museums, even when they are full of interesting artifacts, but one of the advantages of London is that most of them are free, and you can get in as many times as you want. In this way you can enjoy much better the paintings, instead of taking all in in just one go. Another problem that I find when I visit a museum I have never seen before is that I get easily lost and I end up missing some of the interesting things. Wouldn’t it be better to have someone to point you to the right direction? 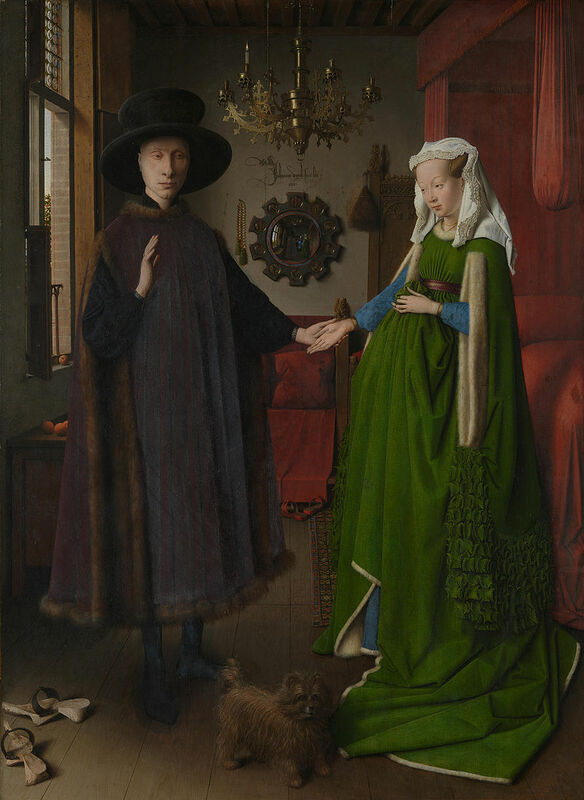 This is why I’ve decided to make this short guide, which gives you a list of the 10 best paintings that you cannot absolutely miss if you visit the National Gallery. They are not in order of importance, but they follow an itinerary that takes you around the rooms of the National Gallery. Obviously some personal tastes are also reflected in the list, although I’ve done my best to be quite impartial. 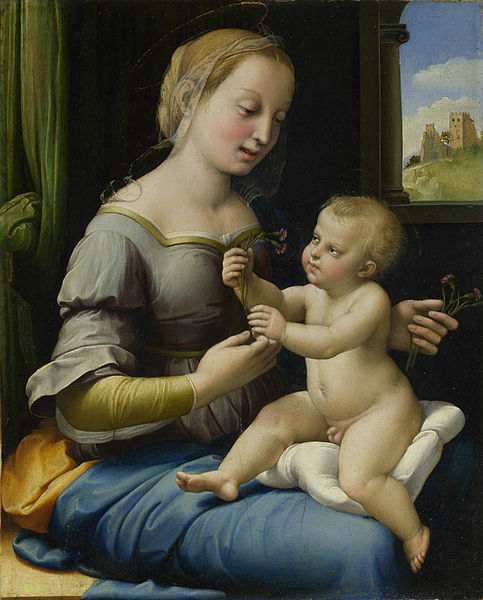 If you have a favourite period you can visit just the dedicated rooms: the National Gallery divides the paintings according to their period in 4 groups of rooms: paintings from 1250 to 1500 (blue area in the Sainsbury Wing), from 1500 to 1600 (purple area), from 1600 to 1700 (yellow area) and from 1700 to the beginning of 1900 (green area). 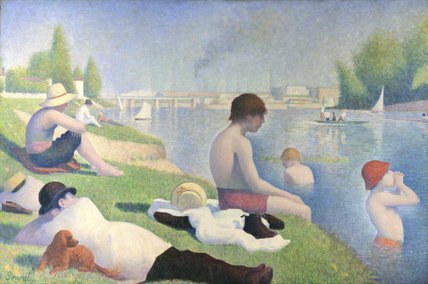 This last group of rooms is my favourite, because it includes the impressionists. 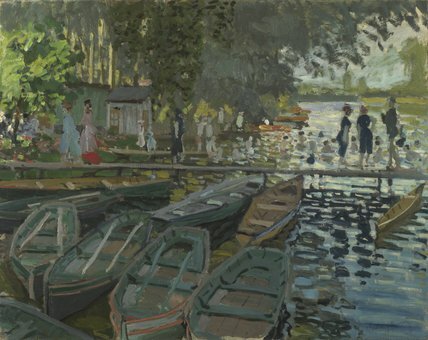 Here you can admire famous masterpieces by Monet, Van Gogh, Cézannes, and also very interesting paintings of the previous period, including Canaletto, Turner and Constable. 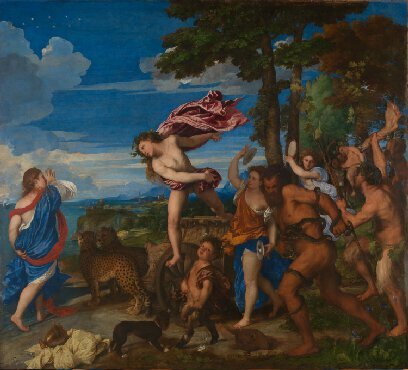 In the rooms dedicated to the painters of the XVII century you can find works by Rubens, Rembrandt and Caravaggio; in the XVI century you will find Tiziano and Michelangelo and in the rooms containing older paintings you will discover wonderful works by Leonardo, Botticelli, Mantegna and many more. 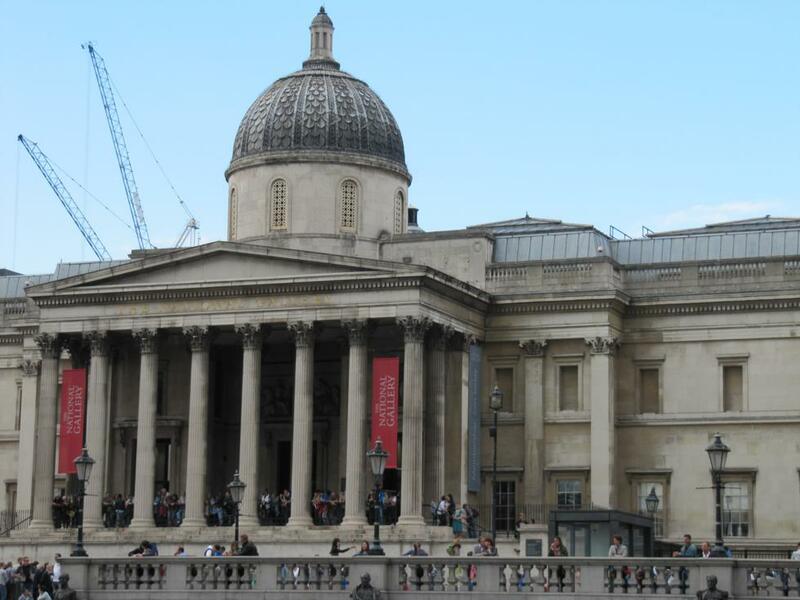 If you don’t have much time, you can follow an easy itinerary that I have made for you and that will show you some of the most famous paintings of the National Gallery. 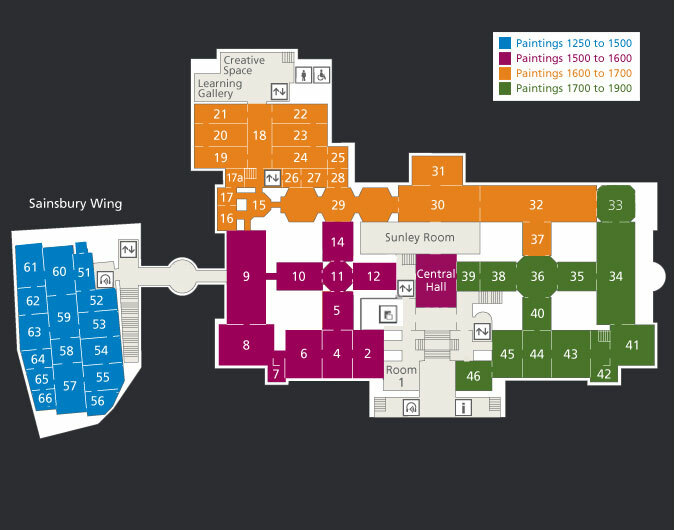 Just after the main entrance you will find yourselves in the main hall. Climb the stairs on your right hand side, go through the room 46 (where you can see some paintings by Degas) end reach the room 45: here you will find some works of Cézanne, but the big attraction is the Van Gogh’s Sunflowers. 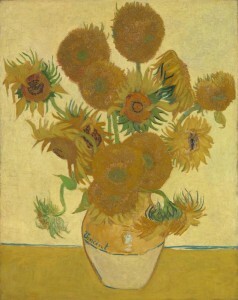 This is not the only Van Gogh here, but is certainly one of his most famous paintings. In the room 44 we can find various work of Monet worth admiring. This one is one of the best. Going on through the small rooms 42 and 41 we will end in the room 34. 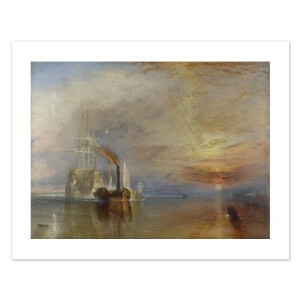 Here we can find one of Turner’s masterpieces. 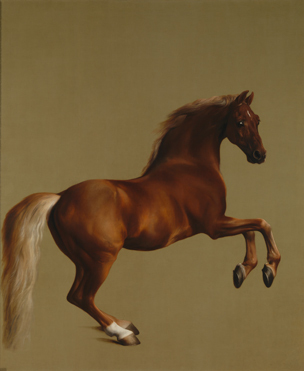 In this room there are several works of English painters; the wonderful painting by Stubbs: Whistlejacket(1762) unfortunately is not on display right now. We hope il will be exhibited soon again, because it is really magnificent. 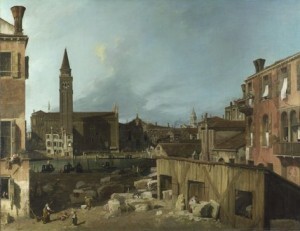 From the room 34 we go through the rooms 35 and 36 and we enter the room 38, where many paintings by Canaletto are on display. There are several marvelous views over Venice and the Canal Grande. One of his most celebrated work is this Stonemason’s yard. We go back to the room 36 and then turn left into the room 37; beyond this we will enter the room 32. 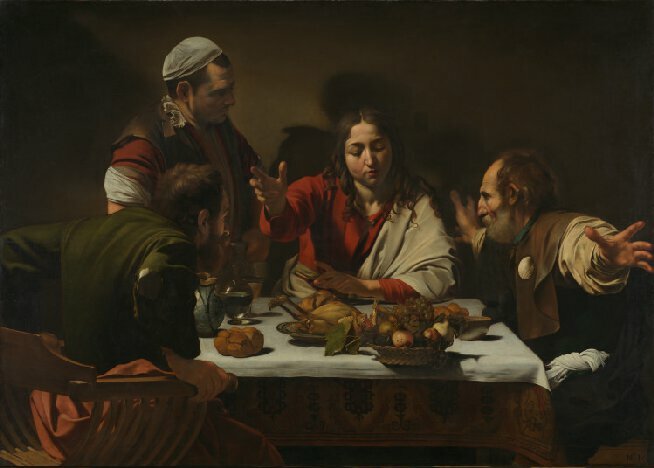 Here we can admire some masterpieces by Caravaggio and other painters of the same period. From the room 32 we go through the room 30 and then into the room 29: Here we turn right to reach the rooms 18 and 21, where we can find paintings by Rubens and Van Dyck. 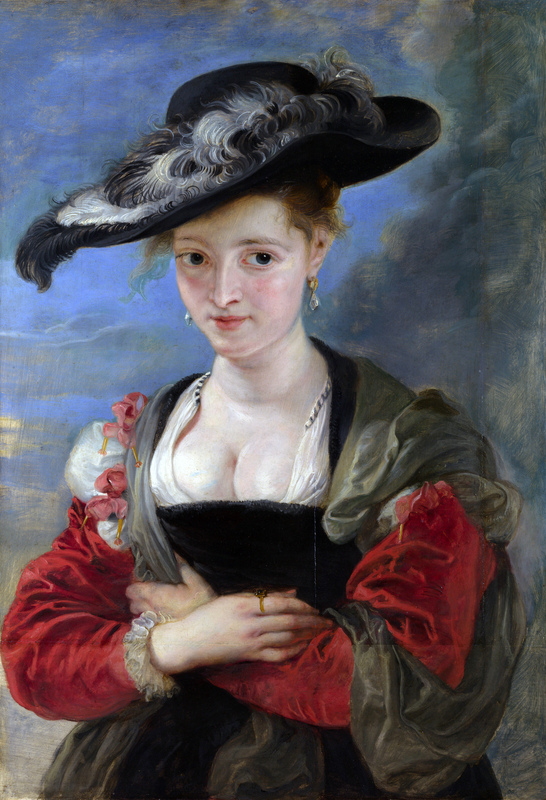 NB: Samson and Delilah at present is on display in the room 18 and the lovely portrait of Susanna Lunden, also by Rubens, is in the room 21 . From the room 29 we can go straight to reach room 15 and 16, where there are several paintings of Dutch artists. 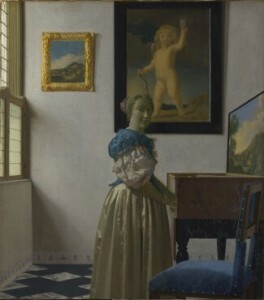 Vermeer’s work is considered one of the most important of his time. His most famous painting (Girl with a Pearl Earring) is in the Art Museum of Den Haag, in the Netherlands, but this portrait of a woman standing at a virginal (room 16) represents his style well. We can now complete our tour to the room 9, the starting point of the purple area. 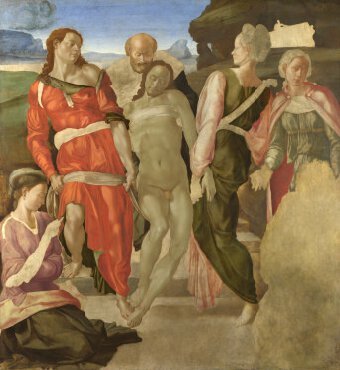 We have now two options: we can go to the right towards the Sainsbury Wing, where we can find paintings from the 1200 to the 1500 (Raffaello, Botticelli, Leonardo, Van Eyck) or we can carry on straight to the rooms number 8 (Michelangelo) and 2 (Tiziano), from where we will get back to the main hall, where our tour ends. If you want, you can do both: first visit the Sainsbury Wing and then come back to the room 9 and complete you tour towards the main hall. 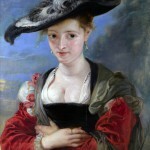 If you want to add your favourite paintings you can do it here in the space for your comments. 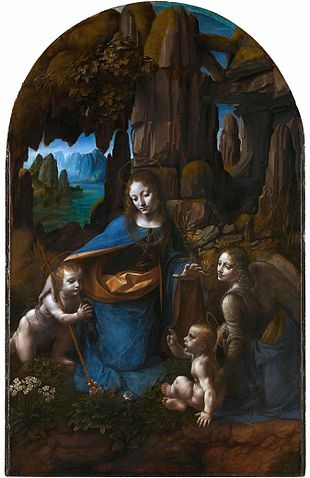 They would be useful suggestions for those who want to visit the National Gallery in a near future.